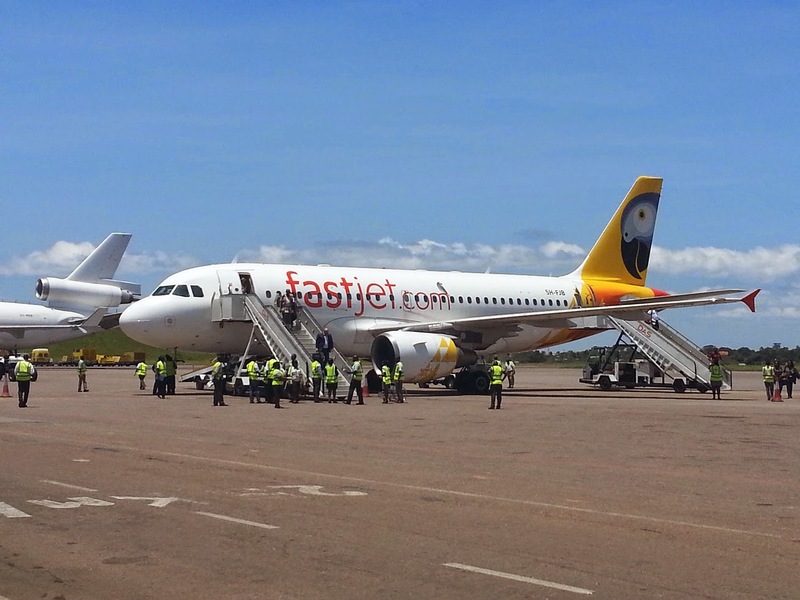 fastjet’s inaugural flight between Dar es Salaam in Tanzania and Entebbe in Uganda took off today (16th September), marking the launch of the low-cost airline’s fourth international route across Africa. Fastjet will be flying this route every Tuesday and Thursday, up until 28th September 2014, when the airline will increase the schedule to four flights a week. Fastjet staff and Passengers during check-in. Fastjet Plc is a low-cost airline with ambitions to provide a pan-African service. Fastjet aims to deliver the same service as its European low-cost counterparts to the African continent.